This week the Food and Drug Administration (FDA) met to discuss allowing the creation of human beings with three genetic parents to proceed to clinical trials. That is, whether to allow human “three-parent embryos” to be implanted and possibly grow to term. There are currently two different techniques for manufacturing three-parent embryos, the purpose of which is to combat mitochondrial disease. The first, being developed at Britain’s Newcastle University, is known as pronuclear transfer (PNT) and swaps DNA between two fertilized human eggs, intentionally destroying multiple embryos in the process. The second, which has been done by scientists in Oregon and New York and is likely what the FDA is looking at, is called maternal spindle transfer. This technique swaps material between the mother’s egg and a donor egg before fertilization. This is not just another reproductive technology. 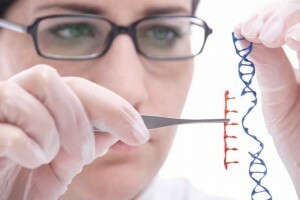 This kind of gene therapy is genetic modification that will be inherited. So, what the FDA is really considering is whether or not to proceed with genetically engineering future generations without their consent. On top of the fact that, like traditional IVF, the creation of new human life in this way (out of the marital embrace and in the science lab) is immoral in and of itself, there is also no telling what kind of effect this will have on the children it produces. The science is still very new. Three parent fertility as a concept was only thought of about 14 years ago. And both of the techniques described above were only first successfully used to create human embryos less than five years ago. Animals created through these methods have had significant health issues, and in Oregon, genetic abnormalities were detected in half of the human embryos created with manipulated eggs. So, there is a good possibility that we may simply be trading mitochondrial disease for other abnormalities, if babies are ever born using either of these techniques. In Newcastle’s initial report, most of the embryos were so mangled in the reprogramming process itself that they couldn’t even start dividing. In order to get better results with this technology in humans, more research must be done, which means more and more tiny human lives lost and destroyed. The concerns don’t end there. The massive amounts of “donated” human eggs that will be needed to manufacture children in this way is worth considering. As are legal issues such as: who would be the legal parents of a child generated from genetic material obtained from multiple donors and would such a child have the right to know the identity of all his gene donors? The FDA’s chief concern, of course, is safety and some members of their advisory committee seemed to agree that there was not sufficient evidence in animal models to suggest that it was safe to proceed in humans. We are on a threshold. Will we move forward in genetically-engineering our children? This move, it is fair to say, will forever change the course of humanity. 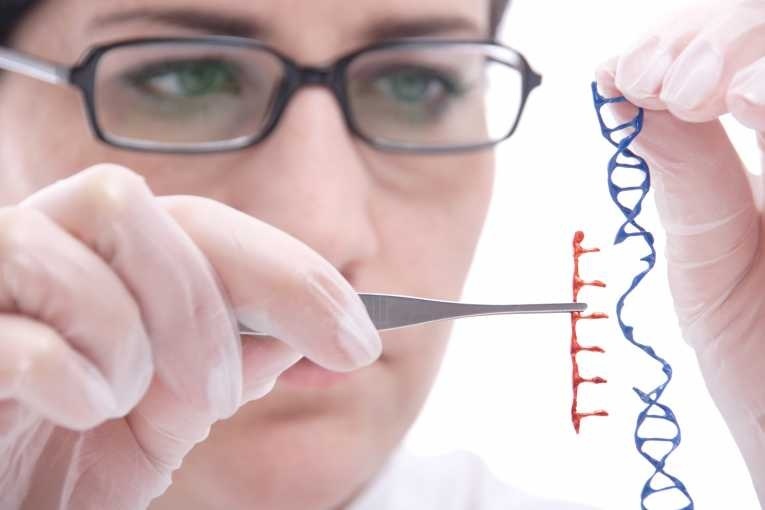 More than 40 other countries have passed laws or signed treaties banning human genetic modifications that can be inherited. Let’s hope, in this case, at least, that the United States will not live up to her reputation of being the “Wild West” of reproductive medicine. This radical experimentation on children must be stopped before it gets any worse. And soon we will see the medical profession around the world operating in the mode of Dr. Frankenstein. Given the widespread adoption of abortion as a “medical procedure,” they already have been. This is just another “logical” step. Human GMO. All Hell will be breaking loose. What ARE these people thinking? These scientists don’t have any clue what the possible ramifications will be 30 years after creating “successful” results. And then what will we do? This is horrific. Pray, whitecrane. Pray and keep our kids close. Lord have mercy on your people, for they know not what they do. GMO foods: EVIL!!! GMO babies: OUR RIGHT!!! This is what the world is coming to, and it makes me sad. It is generally supposed that by the time a layperson is reading about some research or application for any new genetic experiments-or any innovative technology- its actual development is further along than what is being described. Secondly, many (inc. scientists themselves) have decried the lack of information made available -in language that can be understood by the layperson- so that we can act or make informed decisions about what could happen. The one solution which might slow things down, would be to constantly write to senators and congressmen as well as letters to editors, demanding a fuller accounting. If nothing else it would show that we are concerned; that we do hold values which might make some of these unacceptable and more importantly, send the message that we are not a bunch of uneducated, uncaring ‘nobodies’ who should financially support university research and government involvement but accept whatever is coming down the road because the scientists/government/private sector businesses do know what is good for us. Sadly we are in great measure responsible for this ‘injustice’, in part due to apathy and/or being too trusting of the bodies mentioned. Learning more about genetics too-there are many excellent sites- so that when you write you can say something effective, relevant to the subject and not just the predictable hand-wringing so often found in comments such as found here. I know that many good people want to show their concern, but believe me, when you simply condemn them, it has no impact on the very groups you direct your comment towards. They operate in a totally different sphere and the best your comments will do is to confirm what they already suspect, namely that we are a bunch of ‘nobodies’! Please excuse my harshness ( its not personal) but you would be better off not commenting because you are doing more harm than good. Prayers are truly helpful, but we do not have to publicize it, just do it! Ps. When you capitalize your words, your comments are skipped over too.